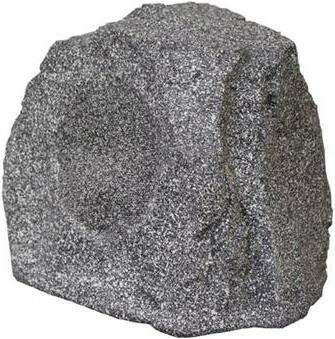 This stylish 2-way loudspeaker reproduces a hi-fi quality sound with a wide dispersion and an ABS housing painted in gray to look like a “rock”. This makes the Rock 608 inconspicuous in your garden, recreation park, swimming pool or other outdoor area. The complete loudspeaker (the plasticized brass wire included) is weatherproof and can be used with a standard stereo amplifier.